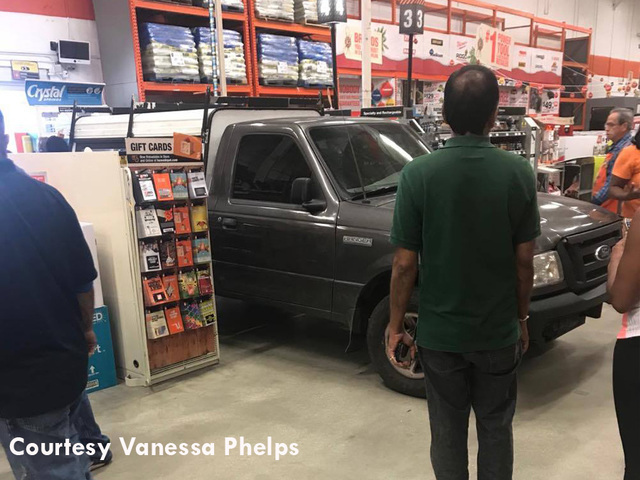 Tampa Police have arrested a man they said intentionally drove his pick-up truck into a Home Depot Thursday afternoon. 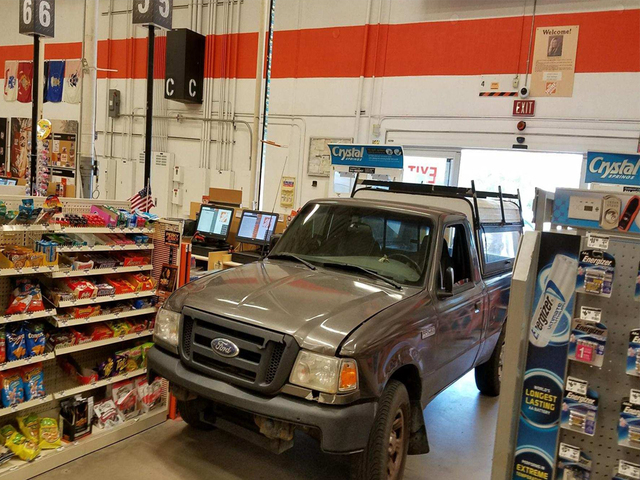 According to police, they received a call shortly before 1:30 p.m. about a man driving his Ford Ranger pick-up truck into the Home Depot located at 17601 Bruce B Downs Blvd in Tampa Palms. Police say the suspect drove his truck through the exit doors of the store and then ran off. They were able to catch up to him at a nearby gas station, where a group of individuals were detaining the male driver. Police said there is no indication the driver intended to hurt anyone. “Thank God I wasn’t there. It’s just too scary all this stuff going on these days," said customer Kitty Landauer. At this time, they have not released the suspect's name, but do state it appears he is mentally unstable and he may be Baker Acted. Officers inspected the vehicle and say it does not pose any additional threat to the area. No injuries were reported. Vanessa Phelps was at the store on her lunch break, and heard very loud screeching and lots of commotion. She says customers started evacuating the store for fear of what may have been inside the truck.